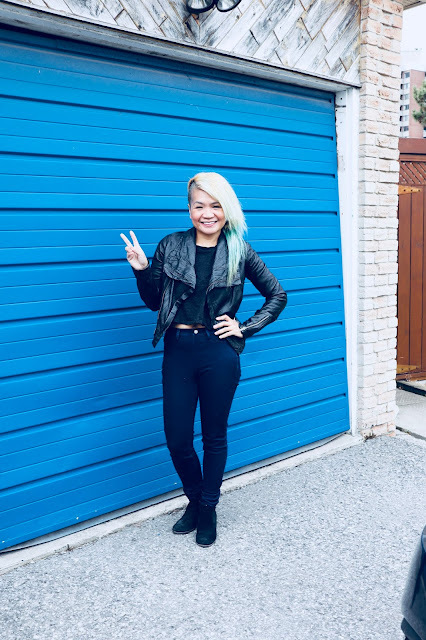 I've worn this leather jacket and ankle boots on this blog a lot. I think they are must-haves and such versatile pieces...and yay that I can finally put away my thick winter coat (knock on wood)! 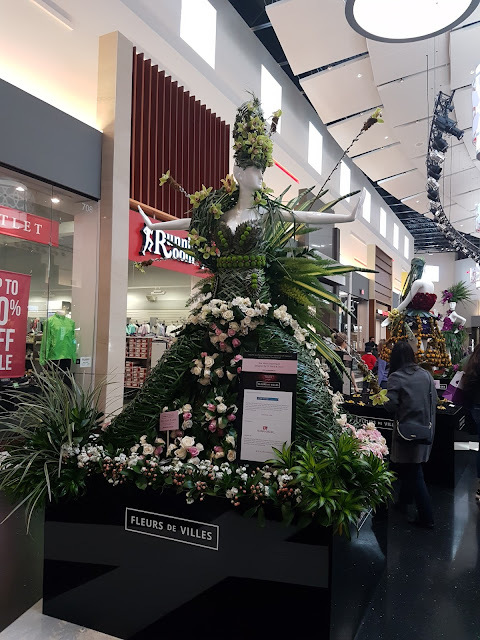 We had the chance to see the pop-up Fleurs de Villes show at Vaughan Mills which featured mannequins dressed in beautiful floral gowns. It was really amazing how these looked, you guys! And another lovely gift from the hubby...almost scary how much he knows what I like and don't like. Love this coat soooooo much. I've been wanting something like this for awhile coz I think it's such a timeless piece, you know? Anyhoo, I hope you are all having a better weather than us over here! 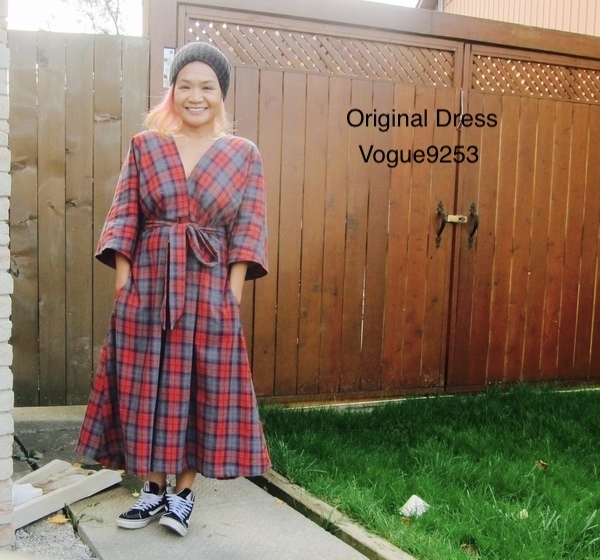 Do you guys remember this dress I sewed awhile back? I really didn't like it and never did wear it again, so I decided to turn it into a skirt. I re-sewed the four bottom panels and turned it into one that looks a bit like a kilt. I attached a kilt buckle and used a kilt pin which were surprisingly easy to find! I must admit I'm quite happy how this turned out. Definitely will get more wear than the original! I've mentioned in this post about my obsession with the band. 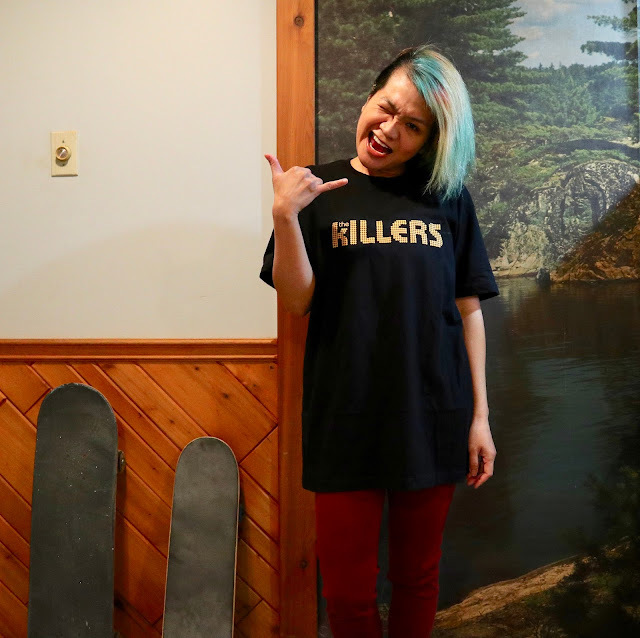 What's a girl to do but buy some band merch, of course...bwahaha! Let's all enjoy some more of their music, shall we? Just had my birthday a few days ago, and this is a new addition to my small bag collection...a birthday gift from the hubby:D Thanks, hubby! I love tote bags, but have really been using backpacks the past few years. It's much easier on the back and very handy for travel. 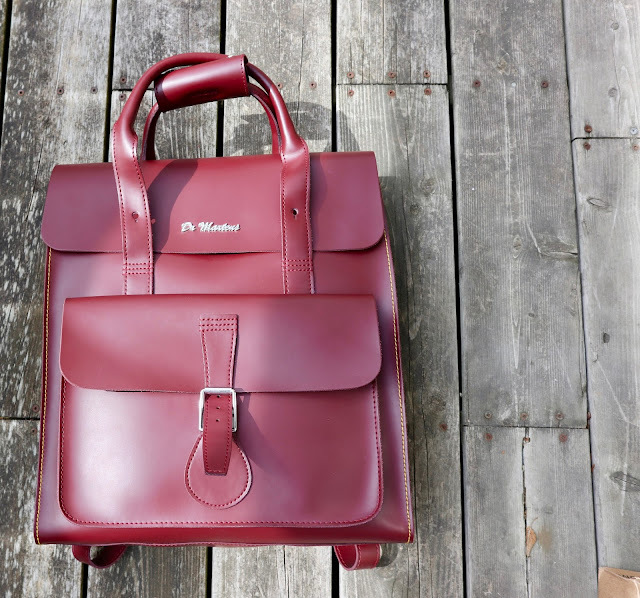 Do you like backpacks?